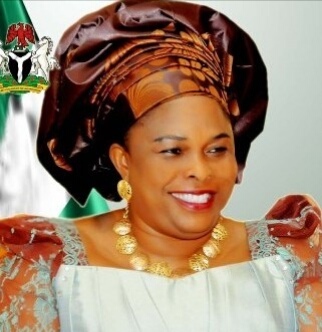 A Federal High Court in Lagos State on Monday reserved judgment until February 28 in a suit seeking final forfeiture of $8.4m (about N7.4bn) allegedly linked to former First Lady Patience Jonathan’s account. The Economic and Financial Crimes Commission had secured an interim order for forfeiture of the sum before Justice Mojisola Olatoregun on April 20, 2018, through an ex parte application. In the suit, EFCC joined as respondents: Jonathan, Globus Integrated Services Ltd., Finchley Top Homes Ltd., Am-Pm Global Network Ltd., Pagmat Oil and Gas Ltd., Magel Resort Ltd., and one Esther Oba. On October 29, 2018, EFCC counsel, Mr. Rotimi Oyedepo, moved a motion for final forfeiture of the sum; while defence counsel, Messrs Ifedayo Adedipe (SAN) and Chief Mike Ozekhome (SAN) opposed the application. On January 15, the court admitted as an exhibit, electronic evidence showing business outfits of the third respondent, Finchley Top Homes Ltd.
On Monday, the case was further adjourned until February 28, as the judge was said to be on another official assignment. The News Agency of Nigeria reports that in moving the application for final forfeiture dated May 8, 2018, Oyedepo supported it with an affidavit deposed to by Mr. Chukwuma Orji, an EFCC operative. Opposing the application, Mrs. Jonathan’s counsel, Adedipe, urged the court to refuse the application on the grounds that sufficient facts had not been placed before it to warrant a final order. Ozekhome also told the court that the third respondent made money from selling groceries and drinks, among other items.